1. Investigate and report on the number of formerly homeless people placed in permanent housing annually for each of the last six years. The Mayor’s Office of Housing does not have any data relating to this request…. 2. What is the number of people waiting for housing who are currently homeless or marginally housed? Again, MOH does not have data which can provide information on this matter…. 3. What is the number of new affordable housing units constructed specifically for formerly homeless people in the last six years, and how many will be built in the next four years? Here, Rosen was on firmer ground: Altogether, some 2,341 units or beds in group housing have been developed in the past six years…. In addition, the list shows that an additional 1,438 units and beds are under development at present, both under construction and in planning. Imagine: 2,341 units or beds in the past six years. Unless my math teacher taught me wrong, that works out to 390 spaces a year, to aid a homeless population usually estimated in the neighborhood of 14,000. Not bad. During the same time period, the Grim Reaper managed remove only approximately 150 homeless people from our city’s streets each year. Everybody into the streets. Marcia Rosen’s job may become twice as difficult if San Francisco’s dot.commers follow the lead of their Spanish brethren and sistren. CNN reported on June 1 that a group of 1,200 former telecommunications workers and their families have created a high-tech shantytown in Madrid, complete with “libraries, bars, hot showers, and cafeterias serving daily meals.” They’re living well, taking electricity from underground road sensors and water from city mains. Everybody back to the internet. The World Bank learns fast, says Normon Solomon in a column published on May 24. Alerted to the possibility of demonstrations in the streets of Barcelona at its next global meeting, scheduled for late June, the organization bailed … and moved to the net. Says one official, “A conference on poverty reduction should take place in a peaceful atmosphere free from heckling, violence, and intimidation.” Adds Solomon, “At the same time that creative advocates for social change are routinely putting the internet to great use, powerful elite bodies like the World Bank are touting online innovations as democratic models — while striving to elude the reach of progressive grassroots activism.” As the opponents of global corporatism regroup, it’s easy to imagine their new rallying cry: Hackers of the world, unite! Sprint slowed to a walk. 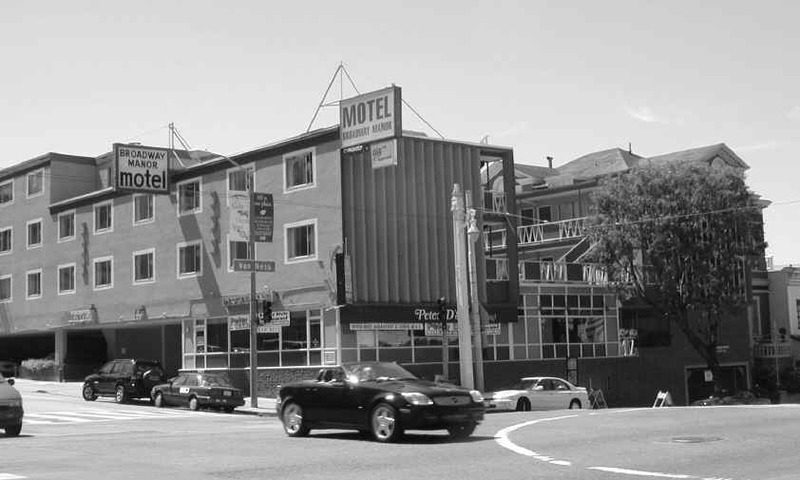 The following was to appear on the back page of the Call this week, from the agenda of the San Francisco Planning Commission for June 7, 2001: 2201 VAN NESS AVENUE — northeast corner at Broadway; Lots 007, in Assessor’s Block 570. Request for Conditional Use Authorization pursuant to Section 209.6 of the Planning Code to install a total of three antennas and a base transceiver station on an existing four-story building as part of Sprint’s wireless telecommunications network. BS is for Bumper Sticker. The winner this week, spotted at the top of Bernal Hill, carries a quotation from Albert Einstein: “Imagination is more important than knowledge.” Yeah, right. Tell that to the guy who’s taking out your appendix.